Instant, accurate, accessible information to drive network improvement and reduce operating costs. Network managers are overwhelmed with data but can’t use it. It’s created on different systems. Collating it and interpreting it wastes precious time and skills. What’s needed is clear insight. 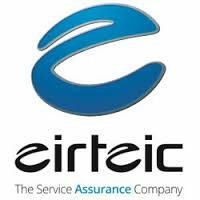 Eirteic provide next generation service assurance which unifies fault, performance, topology, and service level management into a single integrated scalable platform. A single system which measures, monitors and reports. A single system which is proven worldwide and generates confidence and huge savings for our customers. Legacy Frameworks are overly complex and costly. These frameworks cannot easily monitor critical services end to end across the IT infrastructure. A Unified Service Assurance solution was needed to overcome these complexity and cost problems and deliver the required service monitoring capabilities. With our solutions, you can drive IT and OSS transformation to service-oriented operations and accelerate delivery of new services to increase revenue, while consolidating disparate and legacy tools to significantly reduce operations costs. A unified platform simplifies infrastructure and service complexities by normalising device, fault, performance, topology, service logic and rules, and component relationships in a single data repository. A unified presentation engine provides the information each user deems most critical through customizable reports, dashboards, and portals now also incorporating machine learning capabilities. This enables a proactive and role-based management model that encompasses infrastructure, business service, and customer experience in a single unified service assurance solution. Assure1 understands the patterns of behaviour of operational data because it captures information across service and event data from all direct and indirect sources in your environment. Assure1 machine learning and event analytics provide sophisticated data to help customers quickly and accurately pinpoint, analyze and resolve the root cause of service impacting events. This eliminates and suppresses massive amounts of noise to ensure your IT operations always acts correctly against incidents that typically result in impacted services. Assure1 aligns events with their appropriate corresponding analytics models and machine learning to generate the best course of action to improve operational efficiencies. Using machine learning and event analytics, Assure1 takes in large amounts of historical and real-time event data at large scale and provides the ability to search and analyze across all faults to realise specific operational efficiencies. Assure1 with machine learning and event analytics leverages industry standard machine learning algorithms with special data filters to normalize data and ensure correct patterns are fed into the machine learning engine. Using these data streams, Assure1 then detects anomalies, such as temporal deviations, statistical rarities and unusual behaviours, to generate a singular root causal event in the Assure1 event console. Root causal events contain suppression patterns that filter out noise. This solution improves the rate of predictability for NOC operators to resolve problems versus responding to a storm of event alarms. Human-based RCA where operators can flag noise fields and tie them to known root causes. Event Storms and Dips: Driven by event storms (or sudden dips in events) that are caused by a singular root cause, for example; cut fibre and element management systems disconnect. Abnormal Behavior: Driven by learning the noise fields of every device, down to ports on switches. The abnormal behaviour rule generates and escalates events based on anomalies not common to that port or device. For example, a core router port that has previously been stable but suddenly begins having issues would be flagged and escalated for analysis. NOC Operational Performance: Looks at how different types are events are handled and learns how each kind of event is managed in the NOC. Based on this information, the solution sends an alert when an event is abnormally handled. For example, if a NOC operator acknowledges a downed port by adding a journal entry and then clearing the alarm, that incident would be “learned” by Assure1 as normal for that type of event. In which case, in the future, if someone accidentally cleared an event without working on it, that action would raise an alarm. Assure1 and the Event Analytics module support physical and virtual devices. By providing the consolidated data in a single source of the truth, it drives relevant insights that allow operations to continually improve services and business outcomes. Eirteic are expert integrators of Machine Learning and Event Analytic Management solutions, Federos Software (previously Monolith Software) and Assure1 (previously AssureNow) as well as IBM and their Cloud and Smarter Infrastructure solution sets. Deploying an effective Fault Management solution is typically the first step on climbing the IT maturity madder and is at the heart of all successful Operational Support Systems. Understanding the current operational state of your network and IT resources is critical for monitoring and maintaining services levels. For this reason, adopting a holistic solution that supports your entire infrastructure is key, when trying to make sense of how the current state of your underlying network components, physical, logical or virtual, affect your Services and Business as a whole. The Fault Management function is essential in a complex technological environment. Most companies have deployed a myriad of tools to collect millions of events, logs, and messages from their many network devices, servers and applications. Unfortunately, these tools typically have separate user interfaces, monitors/collectors and databases and require differing technical skills and abilities to administer and maintain. As a result, the operations staff face issues as they attempt to make sense out of this “big data” event load. To make matters worse, this approach can make it impossible to get an integrated, end-to-end view of the network or services without costly manual analysis and/or time-consuming integrations. This situation reduces team productivity, lengthens mean time to detection and recovery, increases costs, and negatively impacts the customer experience. Eirteic are expert integrators of the two leading Fault Management solutions, Federos Software (previously Monolith Software) and Assure1 (previously AssureNow) as well as IBM and their Cloud and Smarter Infrastructure solution sets. Monitoring – Proactively & reactively collect & enrich large volumes of data from any technology, protocol, or feed and turn it into effective information. 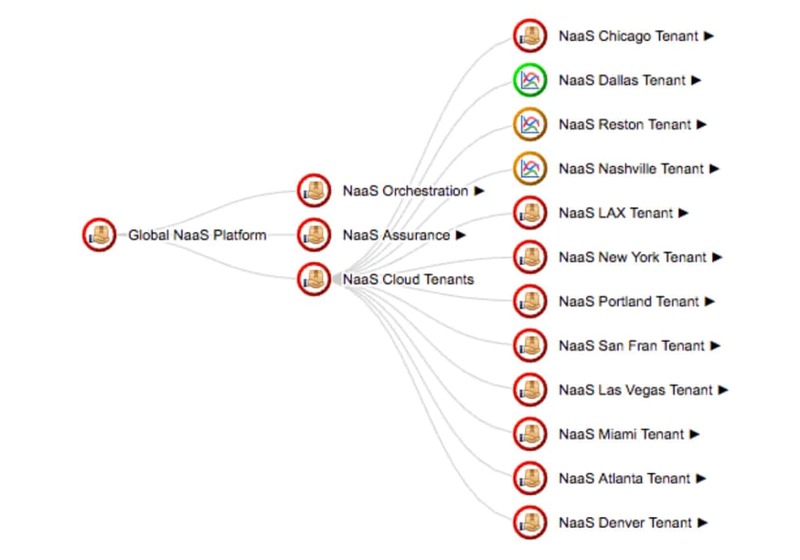 Detection – Correlate, isolate cause from symptoms, and provide incident notification. 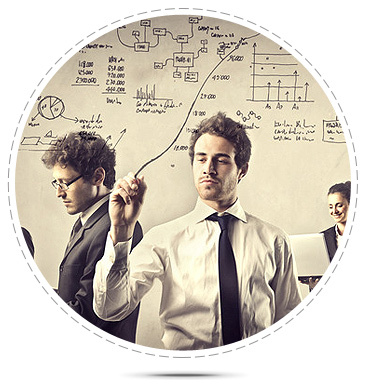 Analysis – Troubleshoot, test & verify, determine customer impact and notify, escalate. Treatment – Resolution, remediation, notification. Post Mortem – Prevent, process & policy reviews, reporting, risk vs resource management. 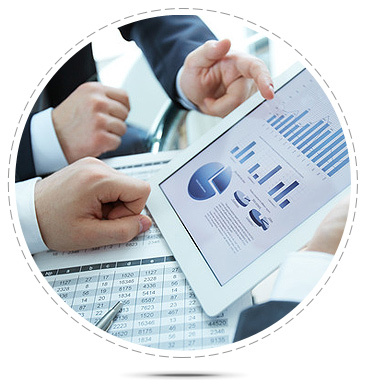 Performance Management Applications proactively monitor and report on service-quality. Eirteic deploys solutions that provide end to end views in real time as well as storing collected data, to allow IT and network owners to analyse and deliver reports which drive valuable business decisions. An effective Performance Management solution should also support the Infrastructure Readiness and Capacity Management functions. Tight integration with a Fault Management solution allows for the unification of resource faults with threshold and abnormal behaviour warnings to possible fault states, through a single user interface. Eirteic are expert integrators of two leading Performance Management solutions from Federos (previously Monolith Software) and Assure1 (previously AssureNow) and IBM with their Cloud and Smarter Infrastructure solution sets. Deploying an effective Service Level Management solution enables operations teams to respond in real-time and with the correct prioritisation for service performance and status issues that impact customers and their business, replacing the need to manually analyse and correlate data from diverse tools. Traditionally service-oriented management is complex because it must include an integrated view across vendors and technology generations as well as across multiple and overlapping management systems. It also requires organisations to collect and process large volumes of data while zeroing in on the pertinent service and business issues. The majority of service management tools available today are expensive and include difficult-to-configure point solutions that give a narrow, un-unified view into performance, faults or availability. 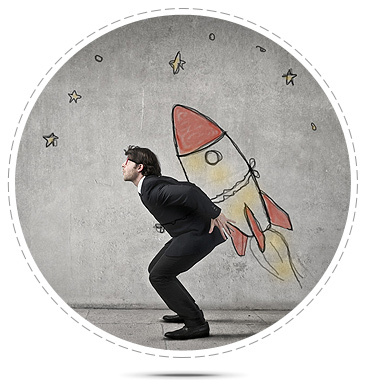 Move to a next generation Service Assurance solution. Unify fault, performance and service level management within a single, integrated, scalable platform. Monitor, measure and report on all network types (fixed line, mobile and virtual), integrated seamlessly with existing hardware and emerging technologies. Simplify network management with customizable reports, dashboards and portals displaying a single, normalized, view of device, fault, performance, topology, service logic and service relationships.